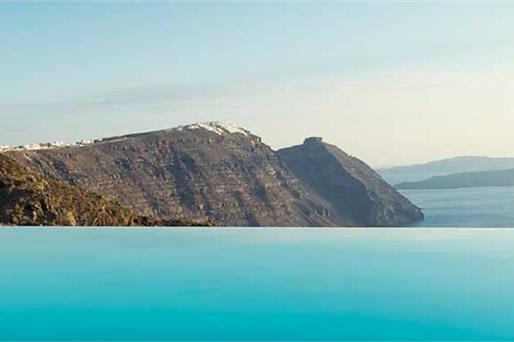 Panorama Boutique Hotel is perched at the top of the caldera in Fira. 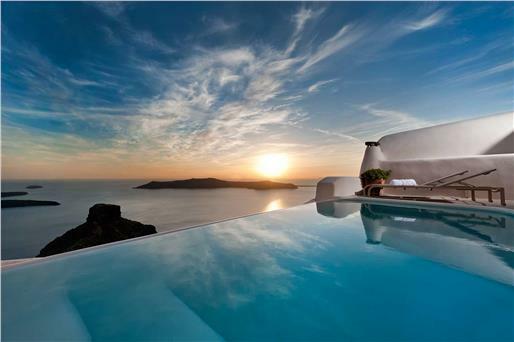 All of its rooms offer unobstructed views of the sparkling Aegean and the famous Santorini sunset and volcanic isles. 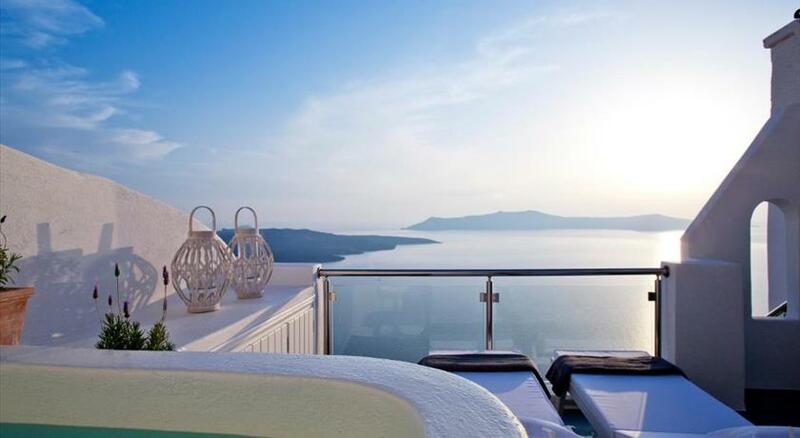 Decorated in a modern minimalist style, Panorama Boutique Hotel rooms retain charming Cycladic architectural features. Air conditioning, satellite TV, free internet and Cocomat mattresses are standard. 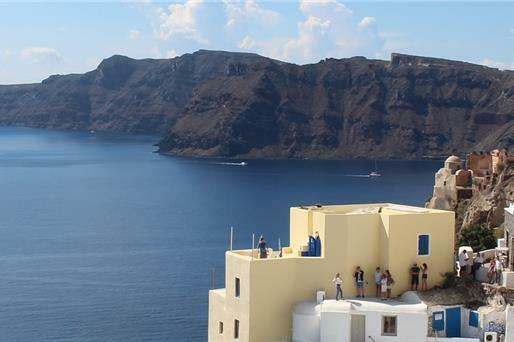 Upgrades include luxury bathrooms with spa baths and windows facing the caldera. Every morning, the hotel serves a rich American breakfast buffet. 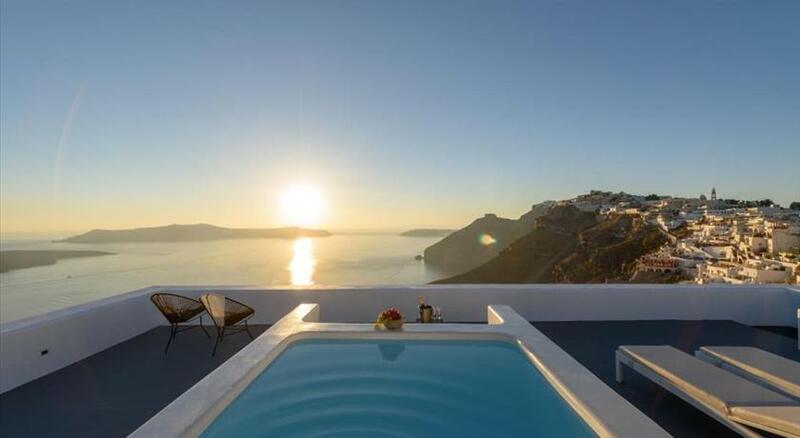 Panorama Boutique Hotel is located on the famous Gold Street, a stone's throw from restaurants , shops and cafes. All public transport is within 150 metres. 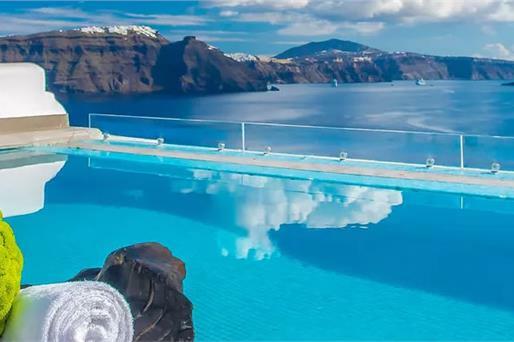 Guests at Panorama Boutique Hotel have free use of the outdoor swimming pool located at Panorama Studios & Suites directly below the hotel, on the edge of the caldera. Taken from a drone fly over that shows the hotel from above. 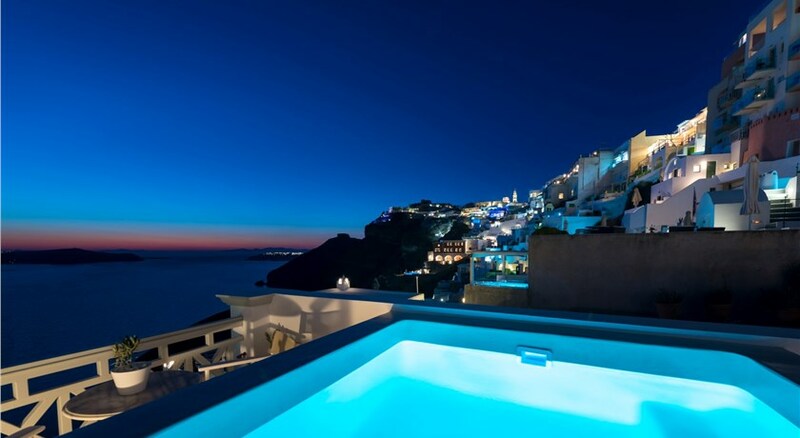 Panorama Boutique Hotel is located in Fira's caldera. 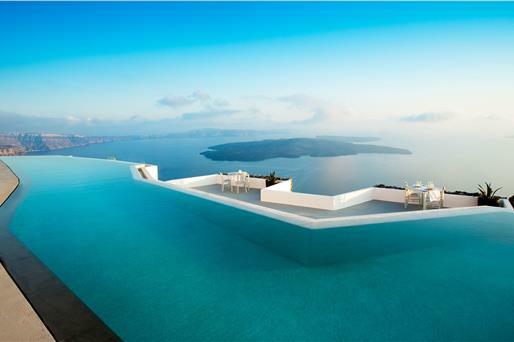 Please inform Panorama Boutique Hotel in advance of your expected arrival time. You can use the Special Requests box when booking, or contact the property directly with the contact details provided in your confirmation. 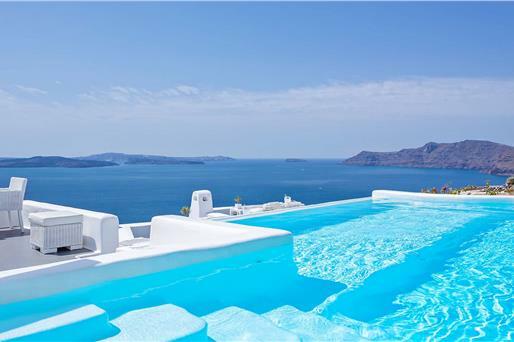 Please note that the swimming pool is open from beginning of May until the end of October. 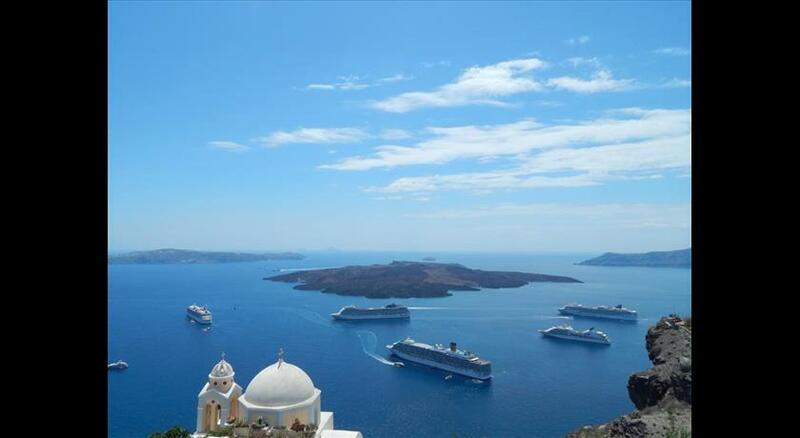 Airport shuttle is available at EUR 15 per person per route.